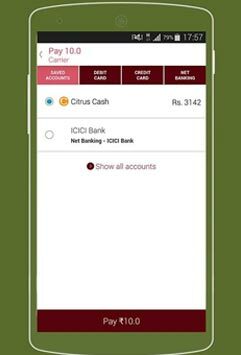 Citrus Payments Solutions Pvt Ltd, which operates an online checkout and payment solution Citrus Pay, has acquired Bengaluru-based payment platform Zwitch, run by iZwipe Payment Technologies, for an undisclosed amount. Quoting Amrish Rau, managing director of Citrus Pay, The Economic Times reported that Zwitch's 10-member team will relocate to Mumbai to join Citrus. Zwitch's co-founders Anish Achuthan and Mabel Chacko will join Citrus' core team to lead its emerging verticals offerings and startups initiatives, respectively. Zwitch, a full-stack payment platform enabling developers accept online and mobile payments, was founded in 2013. It claims to have over 1,000 merchants onboard and records daily transactions of about Rs 10 lakh. This is the first acquisition by Citrus, which reportedly raised about $25 million (about Rs 162 crore) in a fresh round of funding from a consortium of new and existing investors a few days ago. According to a report by The Times of India, its existing investors Sequoia Capital along with Ascent Capital led the Series C round of funding with participation from other existing investors econtext Asia and Beenos Asia. In December 2013, the Mumbai-based company had raised about $5.5 million from econtext Asia, a Japanese online payments firm, and Beenos Asia, a subsidiary of Japanese e-commerce and incubation company Netprice, with participation from existing investor Sequoia Capital. Prior to that, it has raised $1.8 million from Sequoia Capital in January 2012. Citrus was set up in 2011 by Satyen Kothari along with Jitendra Gupta. In February this year, the company claimed to have crossed $1 billion in gross transactions as a run rate from its 11 million registered users. It crossed the milestone in December last year which means it processed transactions worth over Rs 515 crore in that month. "We process more than 1.6 lakh transactions per day compared with 278 transactions in January 2011 when we started operating," Citrus co-founder Satyen Kothari told Techcircle.in. Citrus competes with CCAvenues, ibibo Group's PayU, One97's Paytm Payments, ZaakPay and PayPal.